I’ve been lucky to have several trade partners this second half of the year. That second wave of trade bait worked better than I anticipated, to the point where I didn’t feel very prepared. Clearly I’m not all that prepared to thank everyone quickly either, but hey, it’s something to work on in 2019. That trade bait was months ago and I still have about five more packages that haven’t even appeared once here! I don’t know how some people do it. People like Jim, originally known for his blog GCRL (hence the title) and creator of several side blogs. He is now player/manager for cards as i see them. I don’t know how Jim can maintain all of that writing. That’s a level of speed and organization I can’t comprehend, but can certainly appreciate. Well, as you might have gathered, Jim sent me a nice bubble mailer I can appreciate as well, stuffed with all kinds of cardboard spread across my various player interests. It’s too much to fit in one post, so I’ll have to come back later for the other parts, after I’ve sprinkled in some of the other trades laying in wait. I’m starting off with a nice stack of stickers. In short order, I got quite a few people trading stickers with me. That was fantastic and look forward to more of that. You may notice that the Rizzo is hiding and that’s because he went into the album. 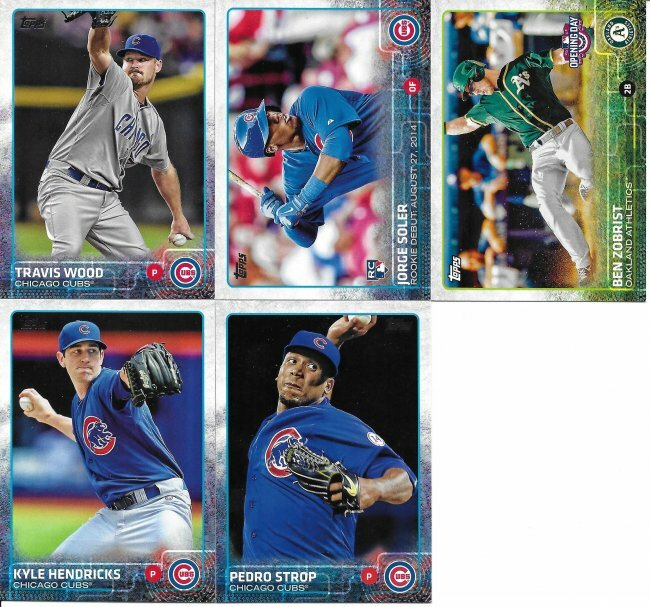 Rondon and Baez are already in my albums so they are for my player collection binders. 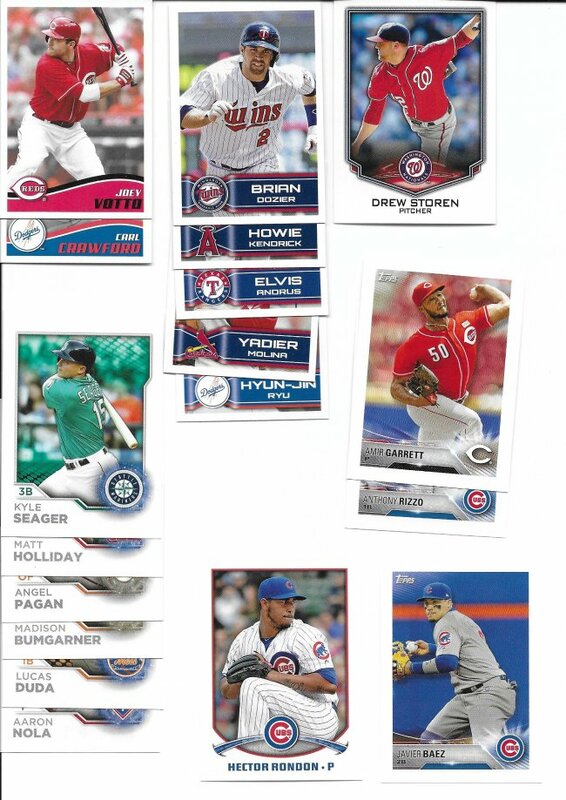 This package had a bunch of stuff, so to save time in showing the dozens of cards sent my way I’m doing a little grouping. 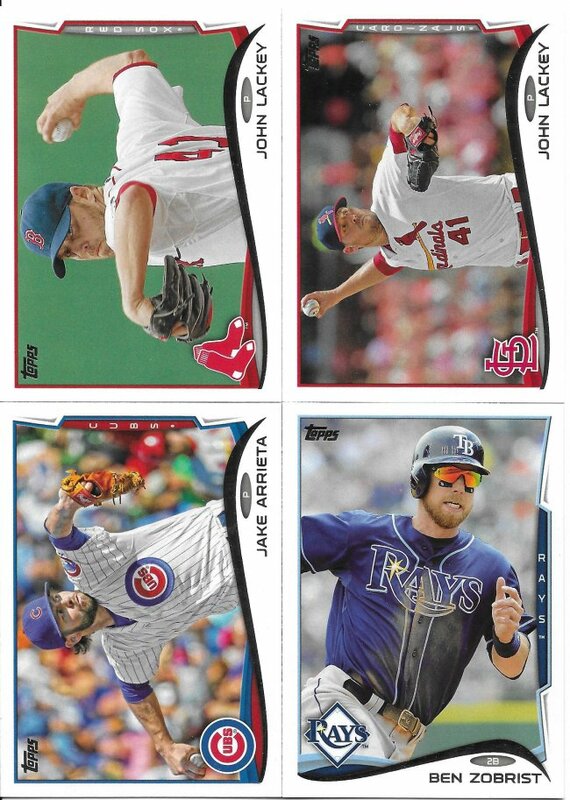 Here’s a nice assortment of Topps Archives, aka future Heritage (with one past Heritage). Oh man, I wonder if 1990 will get a turn at Heritage. Probably not. Topps would likely reboot and start at 1952 again before that happens. Speaking of Heritage, we have two years represented but plenty of cards I needed. 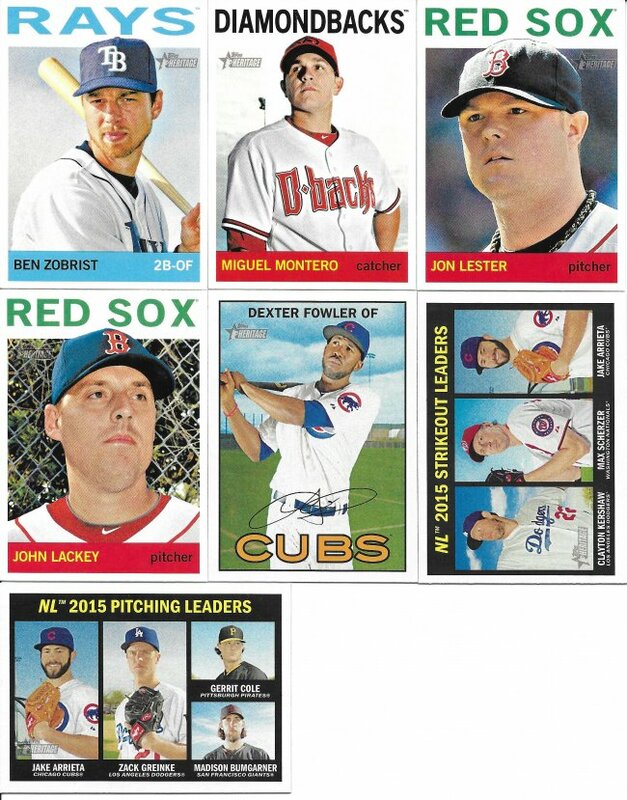 Oddly, I don’t even have the regular Arrieta 2016 card to go alongside the League Leaders. 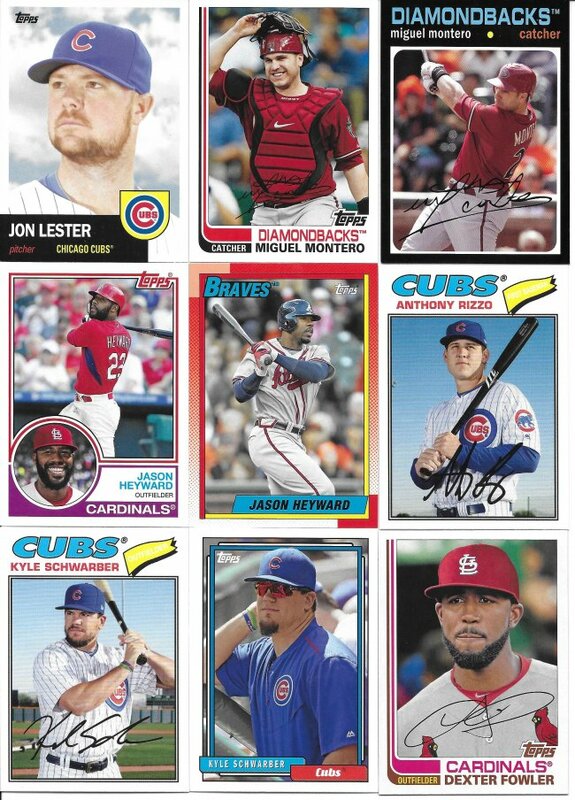 Flagship sets were well represented, starting back in 2013 when none of these guys were a glimmer in the Cubs’ eyes. 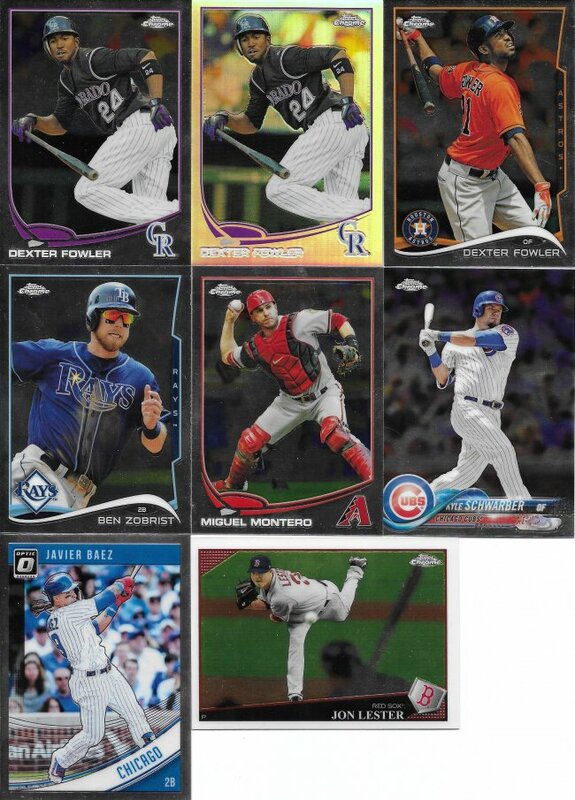 Sorry for the orientation…Zobrist is running away from the poor scanning of the 2014s. I’m pretty surprised I was missing all of these. I bought a box of all three series of 2015. I don’t think I had even seen the Soler rookie debut card before. Would love to have those parallels. Skipping 2016 and into 2017 where the pieces start to get traded away. It’s weird to see those two with the Royals. It just doesn’t look natural, even though it’s still a blue uniform. There’s still so much more to show, but for tonight, I’m going to end with a little bit of shine. This one picture also shows how incredibly varied the trade package was. So many years and players and sets covered. I’m very thankful to Jim for the thoroughness and look forward to revisiting the rest of this really big trade in a few more future posts.